Studio Two has collaborated with Charley’s Fund, a non profit dedicated to the fight against Duchenne muscular dystrophy, to launch a very special birthday page. 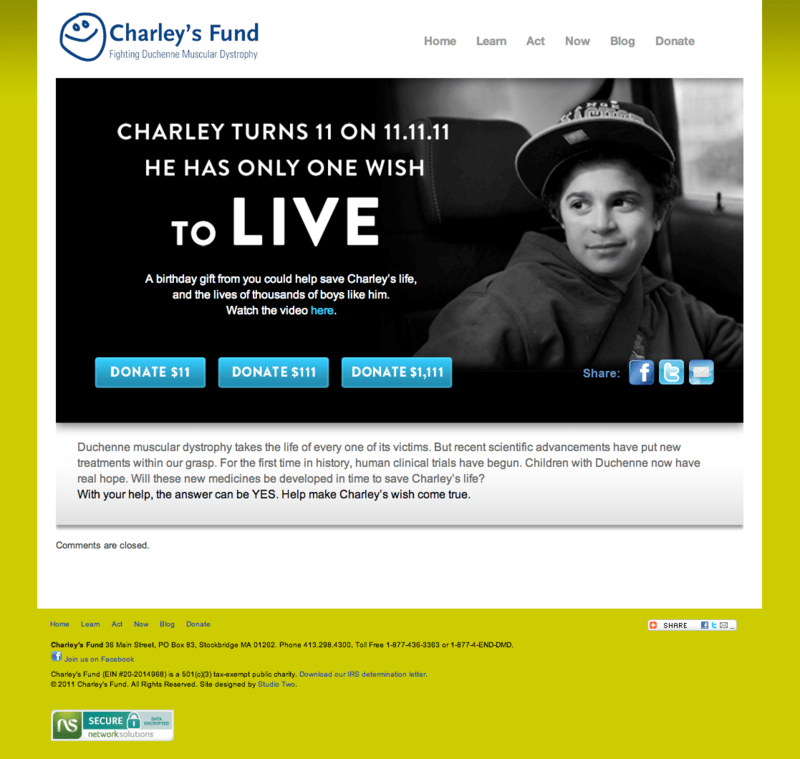 Charley Seckler will celebrate his 11th birthday on 11-11-11 this year, in honor of that we have launched a special birthday campaign dedicated to donations and awareness that will help Charley see many more birthdays in his bright future. The page needed to include easy options for sharing the cause across social networks, make donating a snap, bring awareness through a Facebook profile image campaign, and be fun and active just like Charley.